Cool free vector footage for your freebies stock image collection. Vector set with organic tree illustration, willow design, ornaments, cute little flowers, hearts and star graphics, colorful television set, burning candles image, starburst explosion clip art, flying eagle and many other design elements to enhance your digital art projects. 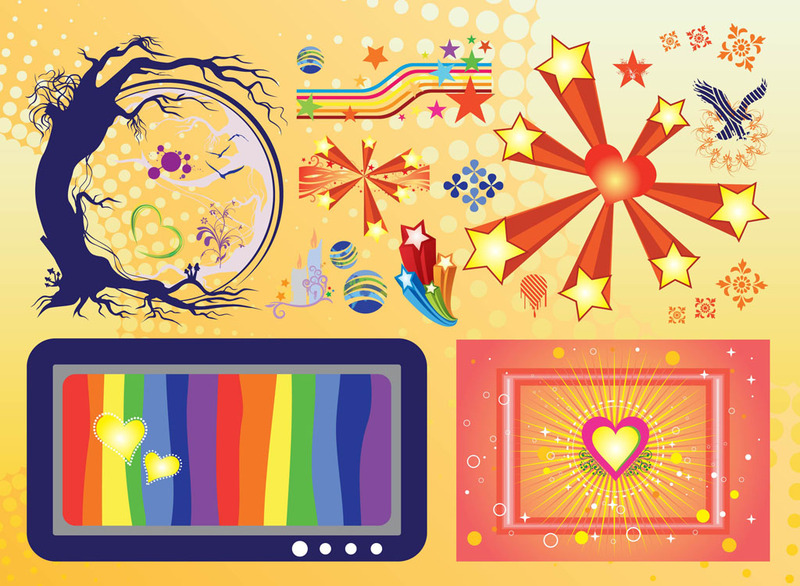 Tags: Design Pack, Media, Stars, Stock Footage, Television, Tree, Tv, Vector Set.